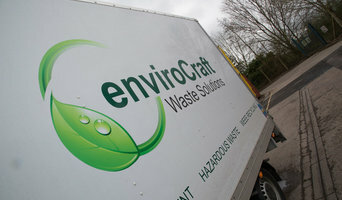 EnviroCraft Waste Solutions Ltd offer domestic waste clearance to customers in Middlewich and throughout the UK. We can remove a variety of items from large bulky furniture to hazardous waste and electrical appliances. We offer a wait and load services meaning no skip hire permit is required. Millers Tippers is a 100% family owned business, long established with over 30 years experience offering a fully accredited friendly and professional service to all our customers in Bolton and the North West. Millers Tippers have evolved to become one the key players in the operated and self-drive plant hire market throughout the North West. If you can’t find what you are looking for please feel free to contact one of our team whom will endeavour to meet your needs. Southport Waste Management offers stress free skip hire for home and office renovation, space cleaning, tree pruning and construction projects of every size. We arrive and leave on time, always delivering exactly what the client requested, and are glad to assist with additional details, such as arranging road permits for your skip, or help with removal. What services do Liverpool, Merseyside rubbish removal professionals provide? Even if you think you are going to produce minimal waste during your renovation project, you’ll be surprised at how much can build up, and with strict fly-tipping laws in the UK it’s much safer to choose skip hire or hire a waste disposal professional Liverpool, Merseyside to deal with any rubbish clearance. There are many situations where it’s best to hire the services of a Liverpool, Merseyside rubbish removal company. You’ll be able to hire a company to come in and do a full house clearance for you if you’re completely gutting a house and starting afresh, or if you’re landscaping your garden there will be professionals who can deal with garden rubbish removal, and for everything else there are Liverpool, Merseyside skip hire companies and smaller waste disposal services that can remove furniture, old wallpaper, carpets and all the miscellaneous bits and bots that you might accumulate. If you need a skip, try to estimate how much you will be throwing away. You can arrange large, midi or mini skip hire; just talk to your Liverpool, Merseyside skip hire professional about what sizes they offer and what the different sizes can hold in terms of waste disposal. The company will arrange delivery and collection of the skip once you’re finished with it, so you won’t need to worry about the rubbish removal. Find rubbish removal and skip hire professionals on Houzz. Narrow your search by postcode for a list of Liverpool, Merseyside skip hire and waste disposal services. Get contact information so you can ask about prices and read customer reviews to find the best Liverpool, Merseyside skip hire and rubbish clearance service for your home improvement project.